This is the APRIL Update emailed out to our Hammersmith congregation this week. For other congregation calendars see here. Spring is (nearly) in the air, and we have many reasons to be encouraged by much of what’s happening in church life. I do trust that you too will personally experience God’s love and life in this season in a fresh new way. 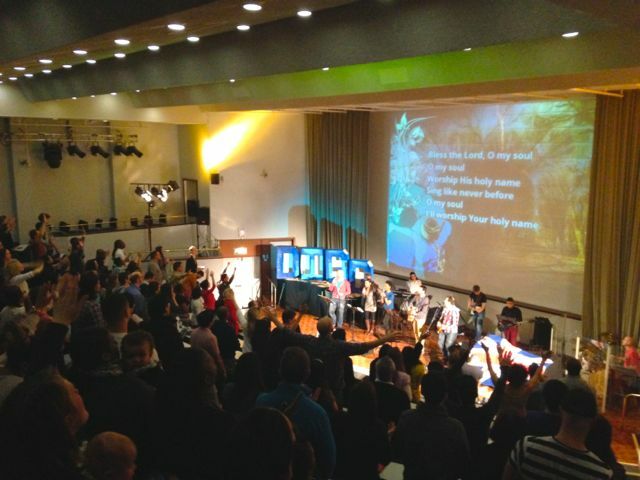 We had a truly super Super Sunday with all our congregations together. There’s something powerful when we worship together! SUNDAYS: This Sunday we launch a 4 week preaching series called “Re-DIGGing the wells”– which follows the Super Sunday message (Watch here if you missed it) on the 4 areas we believe are critical for us to guard in order to experience the fullness of God in this season. Don’t come expecting the ordinary this week! Sun 6 – Boat Race Barbeque, 4.30pm – details announced this Sunday. Mon 7 – “Dynamic Discipleship” teaching night – a great opportunity to get a full dose on discipleship in one evening! Fri 18 – Churches Together Easter Friday outreach service in Kings Mall, meet 11am at St Paul’s Hammersmith. Sat 26 – ENjoy social hike! Details here. Mon 28 – Bible Teaching Nights start with “Jesus in Genesis” – definitely a must-do subject! All welcome. Thank you for sharing this God-adventure with us through your prayers, involvement and generous giving. Again I pray that you would Re-DIGG any wells that the enemy has closed up in your life, and that you would experience more of the fullness of all that is yours in Christ in this next season.